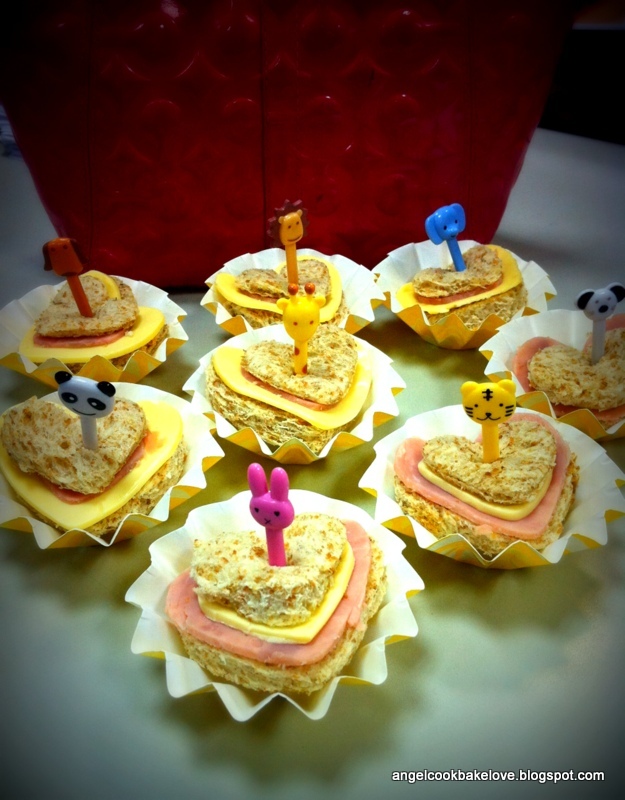 I made these sandwiches for D and my colleagues as Pre-Valentine’s Day breakfast. Aren’t they sweet? This hearty sandwich is extremely easy to do. 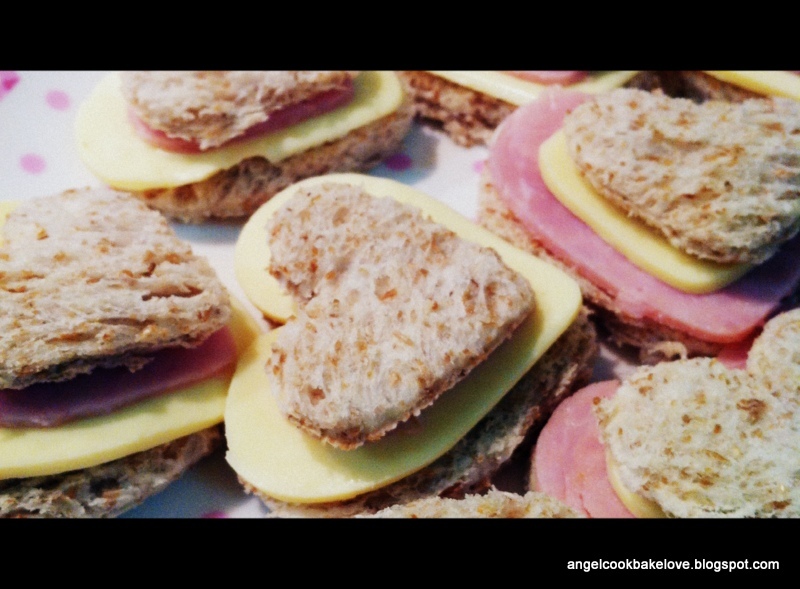 You just need two heart-shape cutters, one big, one small (I got mine from Daiso), bread, ham and sliced cheese. Just cut and assemble. So if you have not planned what to do for your loved one, why not surprise him/she with this cute little sandwich? Korea strawberries are in season now, these chocolate coated strawberries are another sweet treat that you can make to pamper your loved one. 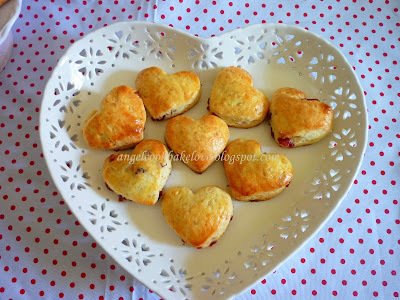 If you have more time, these mini heart-shape cranberry scones are perfect for Valentine’s Day breakfast too. 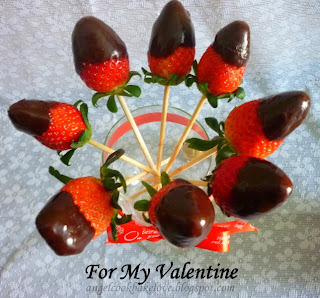 Hope the above give you some ideas of what to prepare for your loved one on Valentine’s Day. A big thank to Jane and Alice for passing me this award – The Versatile Blogger award. It’s my honour to receive the award from these two versatile bloggers. Jane from Passionate About Baking is well-versed in all kinds of cakes and pastries, from simple muffins to occasion cakes, pies, macarons, cookies, breads…..you name it she makes it. Her blog is a good reference for people who like baking. As suggested by the blog name, Alice from I Love.I Cook.I Bake cooks and bakes well. Hop over to her blog for home-cooked Indonesian cuisine and home-baked goodies. 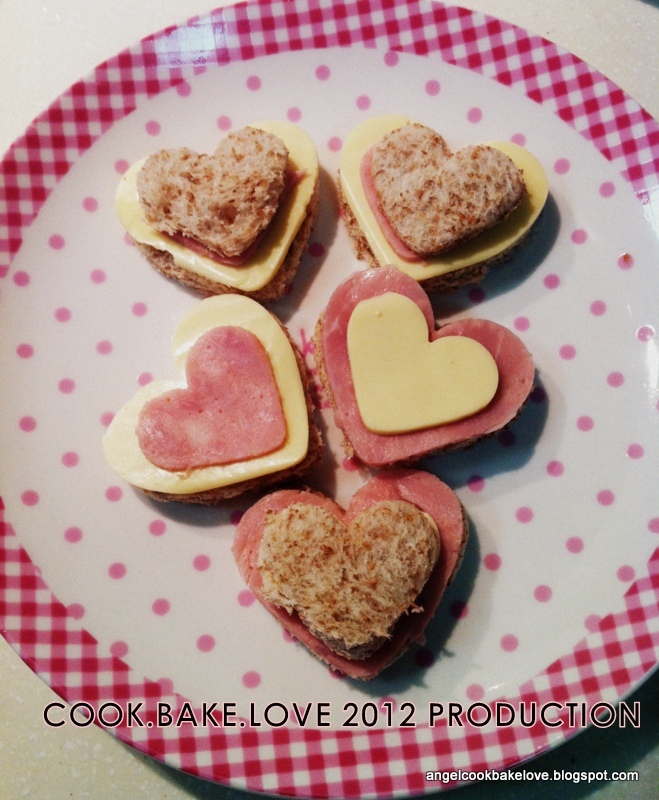 I love the Valentine's breakfast, so sweet :) Happy Valentine Day to you!